2 Free Books Available Today! I love being able to give away stuff. Too often, I feel bad asking you to buy stuff from us, because it shouldn’t always be a one way street. Yvonne & I don’t expect you to buy everything we tell you about. 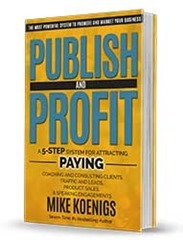 In fact, we hope that you only buy those things that will really help you in your online marketing endeavors. Because we don’t often get our hands on things that we can give away, when they arrive, we hurry and get them out to you! 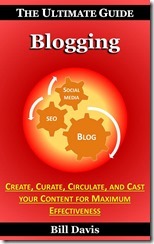 Bill Davis is creating a killer series on blogging and this third installment is on the content part of the equation. In it, you will find the best structure to have for your blog and what you have to do before you can write your first post! Thanks for your time, and have an amazing day!